Tonight we get the folks together to record the fourth AggroChat game club show, this time devoted to Tamrielo’s pick. Shadowrun: Dragonfall is the second game in the Shadowrun: Returns series from the wildly successful kickstarter process. While the first game focused mostly on getting the engine correct, this game focuses more on weaving an interesting narrative in the Shadowrun setting. In tonights show we delve deep into the game and talk about the various choices we made while playing it. Please be warned this is a full spoiler show, and we will talk about some of the plot twists and the alternate choice paths that you can make in the game. I highly suggest that if you intend to play this game, that you revisit this show after doing so as not to spoil any of the content. This title is auspicious for various reasons, primarily because it is the first title that everyone joining in the show either beat or came extremely close to beating it. Kodra and I started recording tonight and during the course of the show actually defeated it. Ash however is in the final stretch making him only about thirty minutes away. The other extremely unique thing about this game is it is quite literally the first game we have played that we all were able to give a big thumbs up to. Join us next month for Kodra’s title as well called There Came an Echo, which is a voice controlled real time strategy game… that is certain to lead to some strange conversations. 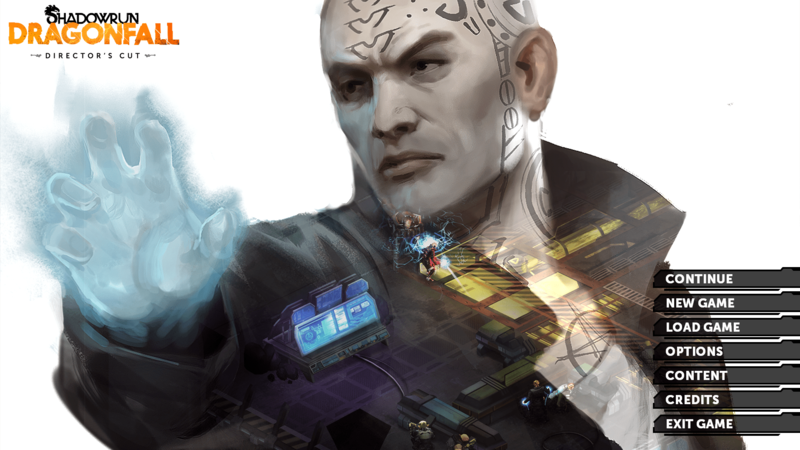 Additionally if you played Shadowrun: Dragonfall along with us, please drop us a line below to let us know what you thought. So I can’t listen to it as I haven’t finished the game yet.